Blog > ISB Admissions > Are Extra-curricular Activities Important for Admission to ISB? ISB itself recommends that if you have not engaged in such activities yet, start with whatever holds interest for you. ISB Admission Consultants, who are desirous of doing their job well, will groom you beyond what is required solely for admission to ISB. They will help you realize the value of engaging in extra-curricular activities for good overall development, not merely from the admission point of view. If you start the preparation process early, you get the bonus of ISB Admission Consultants recommending what activities you can get involved in for profile enhancement and personality development. Keep in mind that a well-rounded personality is what employers will also look for and you will be at an advantage when you look for a job later. But do not do anything just for the heck of it. 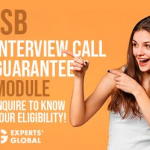 Tell your ISB Admission Consultants about what interests you and ask for suggestions as to how you can pursue those interests with your work or how, if possible, club them with your work. The purpose of the Admissions Committee, of course, is to assess how motivated you are as an individual and how willing to stretch yourself. So a good extra-curricular record will not just reflect on the skills you possess but will let the Committee see your desire to explore your capabilities. 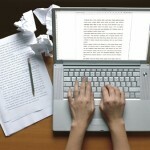 In addition, it shows that you know how to manage your time well to pack in a lot. If you have taken initiatives to make some worthwhile contribution in any sphere, it will definitely work in your favour. For instance, if you have organized certain employee engagement events at your workplace, it is going to be seen in a positive light. Involvement in community service, as ISB Admission Consultants will tell you, creates a very favourable impression. It shows that you are a thoughtful individual, eager to create a positive impact. Thus, your leadership potential is highlighted. The honing of your leadership skills through such activities will help in your future goals too. ISB Admission Consultants will stress on the need to show that you stand out and can contribute to the ISB community through your diverse capabilities. But know that your extra-curricular involvement will be counted only if it is significant enough and does actually add to your profile. Mention things that you have contributed to sufficiently to merit a mention. Remember to not lie about things. Do not even exaggerate the contribution you have made. When your ISB Admission Consultants are grooming you for the ISB interview, they will ask you to be prepared to provide details on the extent of your involvement in the extra-curricular activities you mention. Thus, extra-curricular activities hold importance in that your attitude, your skills and your potential are highlighted through them. 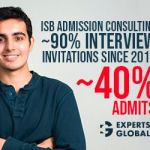 ISB Admission Consultants will guide you on how to relate these well.